Whether we’ve been married one year or thirty years, marriages remain a mystery. Most couples settle into a “way that seems right” to them. Without a clear purpose a clear plan, and a committed process, we can all drift into a stable but perhaps unfulfilling marriage. Seasons change. The excitement of young marriages meets the reality of differing expectations. Parallel lives slowly emerge. Couples with young children become consumed with parenting, and often the marriage takes a back seat. When teen agers sprout up, it can test the fabric of the best marriages. Then the college years begin the detachment into adulthood and couples soon discover they will be empty nesters. Since each season is completely predictable, why do so few couples navigate these chapters with grace and joy? Join us this weekend as we review the biblical basis of what God designed and how we can re-align our expectations toward His ideas. Renew, realign and recalibrate your relationship into a new set of expectations: realistic and biblical. Perhaps this will be the first time you’ve looked at God’s design for marriage or perhaps you’ll rediscover what you’ve forgotten. At the end of the day, Christ has a great intent and design for your marriage. His way is not only the best way, it is a joyful way. Registration for the marriage conference is now closed. If you would still like to attend, or if you have other questions, please email Diane Sheldon (dianesheldon@restonbible.org). Dr. Easley’s experience in ministry spans more than 35 years as a gifted Bible teacher and church leader. He shares a passion for ministry, heart for people, and love for God where he is currently part of the pastoral teaching team at Fellowship Bible Church in the greater Nashville, Tennessee area. Dr. Easley is also a regular conference speaker. 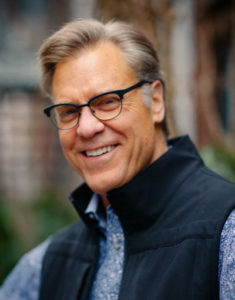 His teaching has been featured at Billy Graham’s Training Center The Cove, Moody’s Founder’s Week and Pastors’ Conference, as well as FamilyLife Today Conferences. He is also the author of Interludes: Prayers and Reflections of a Servant’s Heart and co-author of The Da Vinci Code Controversy. Dr. Easley earned a doctorate of ministry degree in 2003 from Dallas Theological Seminary. He previously served as President of Moody Bible Institute in Chicago, Ill. and pastored two churches: Grand Prairie Bible Church in Grand Prairie, Texas, and Immanuel Bible Church — located near the nation’s capital. He and his college sweetheart, Cindy, have been married since 1980 and have four adult children. Cindy is a nationally known speaker with the Family Life Weekend to Remember Marriage Conference. She also speaks for women’s conferences and retreats. Cindy is the author of Dancing with the One You Love…Living Out Submission in the Real World (Moody Publishing). 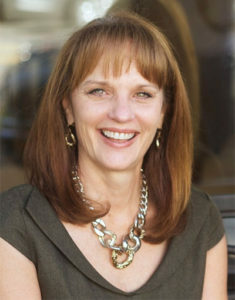 She has been featured in radio and television programs, including Moody Broadcasting Network’s Prime Time America, Revive Our Hearts, Midday Connection, Janet Parshall’s America, Chris Fabry Live, Family Life Today, and Focus on the Family.